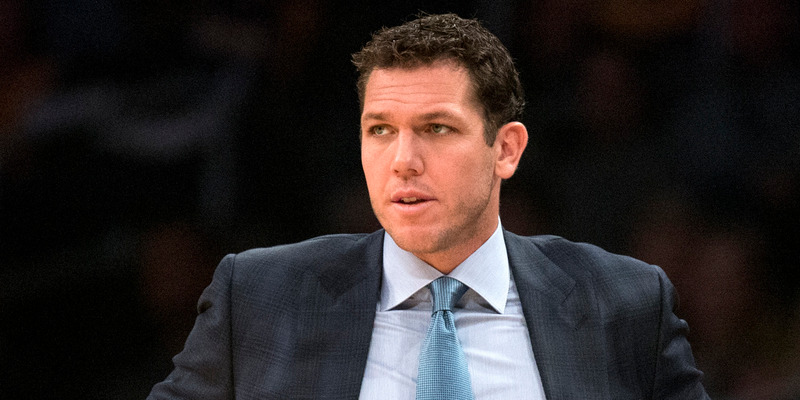 Los Angeles Lakers president Magic Johnson „admonished“ head coach Luke Walton for the team’s slow start, according to a report. According to ESPN’s Adrian Wojnarowski, team president Magic Johnson met with Walton and „admonished“ him for the Lakers‘ slow start, sending the message to turn things around. Wojnarowski described Johnson’s feedback as „cutting,“ leaving the feeling that Walton and the coaching staff are under pressure to win now. The Lakers start to the season has been rocky, but not totally unexpected. Much of the roster is new, and they’re adjusting to the presence of LeBron James, who changes the way an entire franchise operates. They’ve had both close losses and wins, plus a bizarre scuffle that saw Rajon Rondo and Brandon Ingram, two key players, get suspended. Some in the NBA world have noted an irony in Johnson’s message. Though Johnson landed James in free agency, the rest of the Lakers‘ plan baffled the NBA world. In blending James with the Lakers young, promising core, Johnson and the front office signed journeymen and role players to make up the rest of the roster. Most of the NBA world wasn’t impressed with the Lakers‘ offseason, but some thought they could still make the playoffs, mostly because of James‘ greatness. Through eight games, the Lakers have been an efficient offensive team but a weak defensive team, ranking 23rd in defensive rating. That’s in line with what many expected from the roster the Lakers put together. According to Wojnarowski, Johnson and the front office have been bothered by Walton’s frequent shuffling of the lineup as he works to find the right pieces to play together. Nonetheless, there is a key distinction to be made about Walton and his relationship with Johnson and GM Rob Pelinka — Walton was hired under a different regime. According to Wojnarowski, Walton has the „unwavering“ support of team owner Jeannie Buss, but Walton had already been hired when Buss brought on Johnson and Pelinka. It’s not unusual for new front offices to hire different coaches they have chosen.